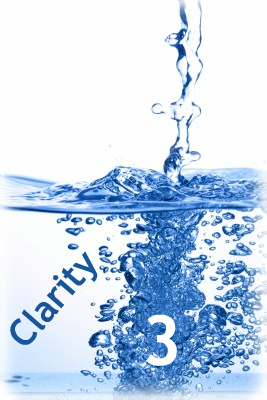 Yesterday I offered three implications of the doctrine of Biblical clarity for us as preachers. Since the Bible is written by a master communicator who made sure it could be understood, therefore we need to work hard at understanding, we should help others know it can be understood, and we should strive to be clear in our own preaching. There’s one more issue that I wanted to add to the list. This might be the one we need to ponder more than the others. Clarity is not really about intellectual capacity. The brightest scholars can make the biggest mess with interpreting Biblical texts. The simplest Christian can profoundly understand God’s Word. Intellect is a blessing, but it is not a requirement. Formal training is a privilege, but it is not the definitive necessity. Reference resources are helps, but they are not preconditions for understanding. We have to grasp the fact that understanding communication is not an exclusively brain-defined exercise – our brain, or anyone else’s. Dr B may be a very intelligent individual. Mr S may never have finished school and struggle to read. But which of these two is most likely to understand the nuances of Mrs S’s communication? Probably the husband who loves her. 4. Preachers have to both recognize and model that understanding is not primarily a matter of intellectual capacity or formal training, but alignment of heart by the Spirit. We can so easily purvey the notion that scholarship and intellect are pre-eminent distinctives of effective biblical study. The Word of God makes wise the simple. But there is a profound spiritual and relational aspect to understanding the Bible. So how is the good soil defined? In Matthew it is the one who hears and understands. In Mark, it is those who hear and accept. In Luke, it is those who hear the word, holding it fast in an honest and good heart. As preachers we can easily give the impression that the issue is intellect. It isn’t. The real issue is the alignment of the heart, its responsiveness to the God whose word is being spoken. It is more about Spirit enlivened relational capacity than genetically transferred intellectual capacity. As preachers of God’s Word, we must both recognize and model that. I remember well one church I was involved in some 30 years ago that had an open pulpit (that is, anyone could preach/teach). There were some very intelligent and good preachers there, but there was also one man who was not an intellectual giant by any means. He would preach every so often and one knew when he stood up what his subject would be because he only really had one–the love of God–but you also knew you would be encouraged and moved by whatever he said. He may not have had the best background knowledge of the texts but he KNEW the love of God in his own life in a real and deep way and he could communicate that simply and powerfully.